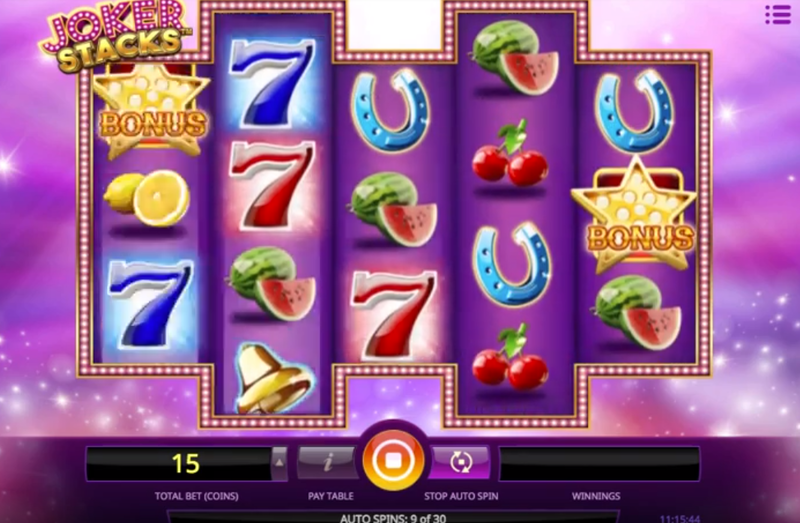 Here's a fantastic new slots game on SlotsBaby. 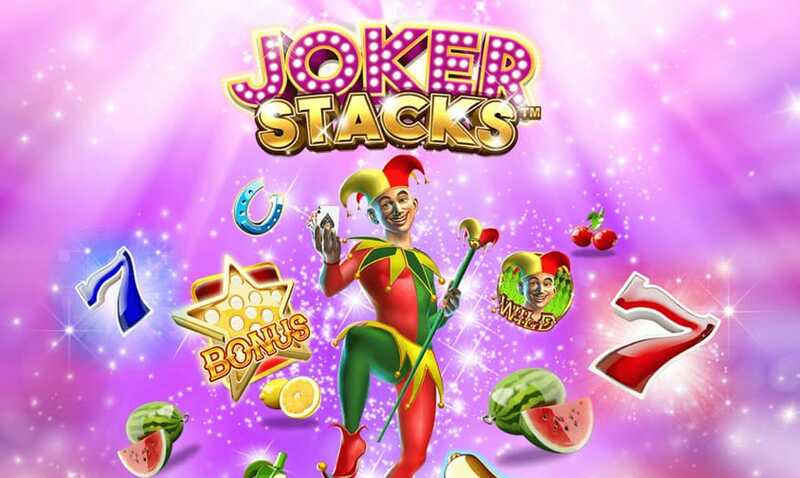 Joker Stacks is an all brand new online slot by the ever-glowing iSoft bet, this vibrant design is sure to appeal to all types of players on Slots Baby. Joker Stacks offers players a simple, fluent and exciting experience with graphics that will plunge you right into the thick of what is to offer. This joyful joker theme Slot Games is a classic 5-reel by 15 paylines giving you fantastic opportunities to win those all-important cash prizes! Remember, this is an iSoftbet production, so it wouldn’t only be necessary to have a few cracking bonus features in their that will leave you laughing your way to the bank! Don't miss slot offers and promo's for better game experience! iSoftbet have always stuck to their word when it comes to launching flexible gameplay content that is backed by the best technology software. iSoftbet have gone onto maintaining a production line of high-quality slot games that always put a twist on the online casino market. Since their arrival on the scene only back in 2010 in London, they have stood up and been counted with what you might describe as the ‘big guns’ of iGaming development. This shows that even though they may be seen to have less experience as some of the gaming providers out there, they still intend to rival them and stride forward to make their games the best that they can be. Joker Stacks is a video slot that contains a five-reel machine as well as a 15 possible pay lines. When producing this game iSoftbet decided to take a slightly different approach and put their own mark on this creation. They did this by making the 2nd and 4th reels a larger size than the others. Meaning the formation of the reels is set up in sort of a 3-4-3-4-3 kind of way. This may be unusual however, it doesn’t change you would set out to win and continue to look for matching symbols from the left to the right of the grid. This game was produced with the intentions to suit all types of players as this game offers a penny slots mode to accommodate the regular players, this can be adjusted for the higher rollers. The paytable offers players seven various icons that can be matched up to trigger cash prizes. All the fruit symbols in the game will generate the lowest payouts such as the watermelons, lemons and cherries. You can expect a greater cash prize if you can target a few horseshoes and liberty bells. For the greatest cash win of them all to be won, you need to watch out for the 7’s, red sevens will give you the huge payout, earning you up to 150 coins if you can locate 5 of these in one single row. Good luck! Look out for Joker icons that act as Wild symbols, these can substitute any of the basic symbols that will trigger paylines whenever it becomes possible. Bonus icons which can only be found on the 1st, 3rd and 5th reels are also very important as if you manage to get these all on the same spin you’ll be granted 15 free spins. In free games, you can find stacked wilds on the same reels, where you’d usually find the bonus symbols. Keep an eye out for these and how many you get in the feature because if you manage to successfully capture a lot of them, you’ll trigger sticky wilds which spread over all reels. 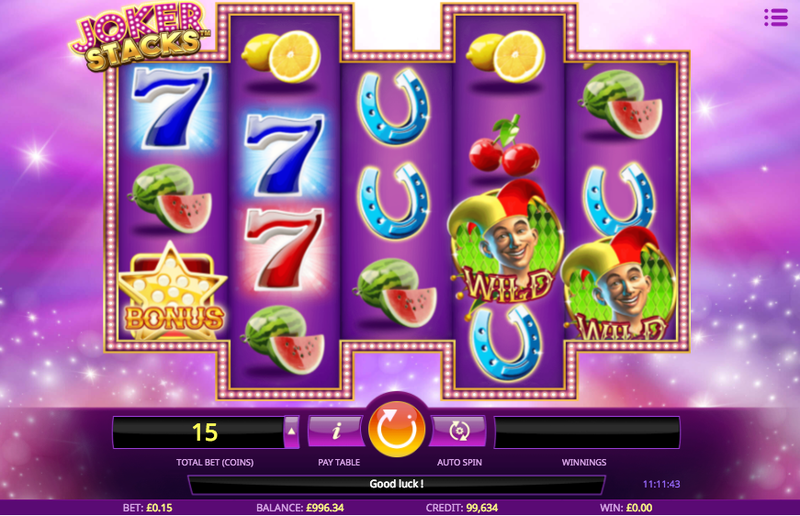 If you enjoyed playing Jokers Stacks why not try Ozwin's Jackpots.